Visaginas municipality invites representatives of Latgale Planning Region and Ignalina municipalities to participate in capacity building event – training for persons working with at-risk children and youth on February 19-20, 2018 in Visaginas, Lithuania. The aim of this training is to raise competence of persons working with at-risk children and youth and provide better understanding of this specific target group, as well as create network for exchange of information and best practice among professionals. This is the second of three trainings that will be organized in Latgale region and Lithuania in the framework of the project. Participants will be invited to take part in all three of them. The training is organized in the framework of Interreg V-A Latvia–Lithuania Cross Border Cooperation Programme 2014–2020 project LLI-402 „Sports for Social Inclusion of At-risk Teenagers“(risk-free). 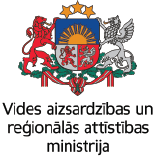 Visaginas municipality invites municipalities of Latgale Planning Region and Ignalina to delegate a representative to participate in these activities, by sending information about the participant (name, surname, phone No. and e-mail) to e-mail: inga.stankeviciene@visaginas.lt till February 14, 2019. The number of participants is limited! Detailed information will be sent out to confirmed participants before the training.